Whether the public or the environment is at risk is a commonly discussed question in numerous areas of public life, most recently and publicly with regard to issues like BSE, passive smoking and the dangers from pesticides in food production. It is therefore of great importance for everyone concerned with these issues - both policy makers and the public who may be subject to their decisions - to understand the basis on which 'risk' policy is made. 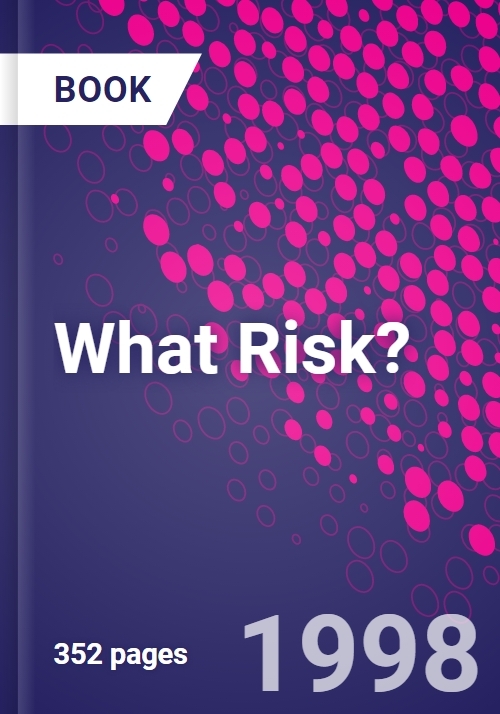 The principle objective of this book is to highlight the uncertainties inherent in 'scientific' estimates of risk to the public and the environment resulting from exposure to certain hazards. Numerous examples of potential and real hazards are given. They all show that injury to personal health or the environment is a function not only of the toxicity (i.e. the lethality of a particular hazard) but of the level of exposure to the hazard concerned - in the words of the old maxim, the dose makes the poison. Existing regulation is criticized for being based on a flawed application of a poor epidemiological methodology, where toxicity is the basis of regulation and dose tends to be ignored. Furthermore, some authors conclude that risk is a subjective phenomenon that cannot be eliminated through regulation.